Sports parents be alert. Keep an eye on adults & never leave kids alone. Lucky for me I’m married to one of the best sports parents. By that I mean my wife was always very suspicious of the sport coaches when our children grew up. She even had me go along on the Boy Scout overnighters so nothing would happen (inappropriate adult interactions) to my boys. She was always very distrustful of any adult who coached or taught our children when growing up. I was the opposite. I was like everyone must be fine if they want to help volunteer or work with young athletes. I did not grow up with perverted uncles in the family like she did though. She has seen the disgusting evil capabilities in people that I never saw. Who knows how many times I would have stupidly left my children in situations that could have been dangerous if it had been left up to me. God chooses opposites to attract for a reason I guess. Some of us are so dumb that we need someone who has a clue to help us along. Jerry Sandusky, the former Penn State assistant football coach and Bernie Fine, the Syracuse assistant basketball coach have charges against them for child abuses. Both men are denying the charges. Nonetheless, the entire landscape has changed for those in youth sports coaching and sports parents. 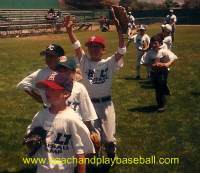 For several decades I have been operating summer baseball day camps, winter baseball clinics, one-on-one lessons and small group instruction. I have been with pro baseball players, college baseball players and high school baseball players. I have no dark motives and I don’t know anyone else that does pertaining to doing anything unacceptable to children. We are reminded that pedophiles are drawn to youth sports coaching because that is a place where they have potential targets. What do us good people that coach youth sports do now that we know what we know? Well, I have given rides to drop off players at their house from time to time. Or I have transported players to a function or event in the past. Well no more. None of us can put ourselves in any type of situation that might come back on us later that something happened in the car. No more rides. I am thinking that as sports coaches we don’t want to be any where around a locker room when players are changing. Caution might have to be taken in the way we greet or congratulate players coming back to the benches. Unfortunately, our mind thinks, “how is this going to look” if I give a kid a hug or an arm on the shoulder? Can’t do it. It is going to be high fives and fist bumps and that’s about it. Sports parents must and will protect their children. The tough part is that pedophiles don’t dress us as a Darth Vader types with a trench coat and mask. They are good at tricking everyone. What is perceived as a ‘normal’ person can turn out to be the one with horrible motives. Therefore all of us baseball coaches are under scrutiny and rightfully so. 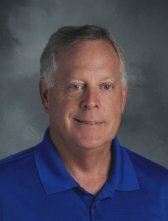 “It is important for coaches not to take it personally or be defensive,” say Jim Thompson, founder of the Positive Coaching Alliance, a national nonprofit organization home based in Mountain View, Calif., that give coaches strategies for making youth sports a character-building experience. As sport coaches and sports parents we have to accept the fact that we are going to be checked out and followed for the sake of keeping our children safe. 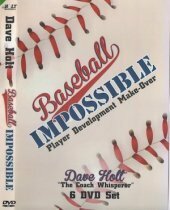 Many of our baseball organizations and local leagues I am pretty sure will be coming out with more written guidelines that will spell out how to minimize opportunities for individuals to perform inappropriate contact with players and coaches. As a high school teacher I do things in ways that minimize the possibility of stuff happening. I never close my door when only one or two students are in my room. I never facebook with and ‘friend’ with students or text with students. I would highly recommend if you do not do it already to have a pre-season parent/coaches meeting. One of the assurances that you want to emphasize is the fact that you feel it is a high priority that the children the sports parents have trusted me with will be safe. “I will go out of my way to make sure we as coaches avoid any situations that might worry you.” . Never have I had any sports parents of mine show any worries about my treatment of their children. Well, playing time has been an issue with parents and kids sports a couple of times. Other than that I do not feel I’m being overly monitored by parents of athletes or have any suspicious sport parents either. It is just a sad reality that all of us baseball coaches have to do everything with extreme caution just so we do not get associated with the notoriously sick acts that a very small minority of people do. As youth sport coaches we have to follow new policies if not only to protect our kids but to protect ourselves.